With an introduction by Dr. Laurence Marlow. A spectre is haunting Europe (and the world). Not, in the twenty-first century, the spectre of communism, but the spectre of capitalism. Marx's prediction that the state would wither away of its own accord has proved inaccurate, and he did not foresee the tyrannies which have ruled large parts of the globe in his name. Indeed, he would have been appalled if he had witnessed them. But his analysis of the evils and dangers of raw capitalism is as correct now as when it was written, and some of his suggestions (progressive income tax, abolition of child labour, free education for all children) are now accepted with little question. 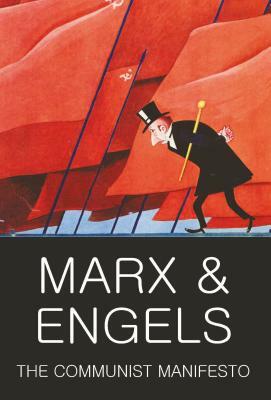 In a world where capitalism is no longer held in check by fear of a communist alternative, The Communist Manifesto (with Socialism Utopian and Scientific, Engels's brief and clear exposition of Marxist thought) is essential reading. The Condition of the Working Class in England in 1844 is Engels's first, and probably best-known, book. With Henry Mayhew's London Labour and the London Poor, it was and is the outstanding study of the working class in Victorian England.